The war hadn’t caused any radical rewriting of Lees recipes. Other than the addition of flaked barley. Something over which the brewery had no say. Substituting flaked barley for some of the base malt is the only significant change to the recipes. Interestingly, Lees dropped flaked barley from their Bitter recipe as soon as the war ended. But retained it for all their other beers. The proportion of glucose and invert sugar was a little lower in 1946 than in 1939, but not massively so. The war had no impact on the types of sugar Lees used. There was no real variation between the hops used in the different beers. All were English grown in either the 1944 and 1945 season. Hop imports came to virtually a complete halt during the war. 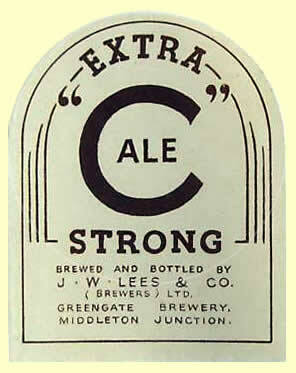 Though this made little difference to Lees as before the war they had used exclusively English hops. The hops were split approximately two-thirds 1944 harvest to one-third 1945. Though the two most expensive beers, Bitter and “C” Ale, did receive slightly more of the fresher hops. All times are GMT. The time now is 14:42.